Let’s explore on enabling Remote Desktop in Windows Vista on this article. After you have enabling this feature, other computers can connect to this computer remotely. Also don’t forget to patch this Windows Vista from time to time by using Windows Update, so that you can minimize the security risk. Please note that you cannot enable Remote Desktop feature in Vista Home Basic or Home Premium version, you need to use either Vista Business or Ultimate version. 1) Go to Start, right click Computer and then click on Properties. 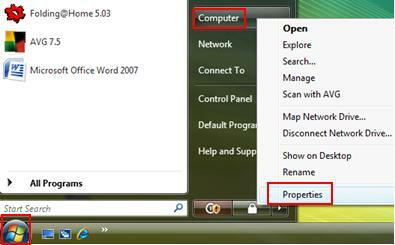 2) The computer properties window will appear, then you click on Remote settings. Note: You can also open this window by going to Control Panel -> System. 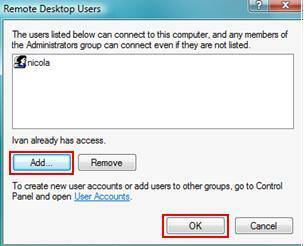 3) Go to Remote tab on the System properties window, then click on Allow connections from computers running any version of Remote Desktop (less secure) option. You can also click Select Users button to choose the users that can connect to this computer remotely. Finally, click Apply and OK button. 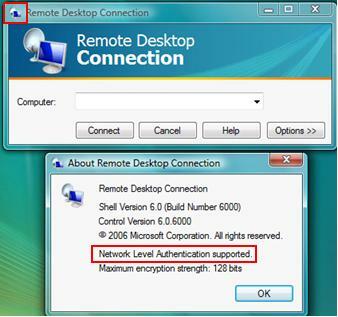 Note: You can only choose that Allow connections only from computers running Remote Desktop with Network Level Authentication (more secure) option if the Remote Desktop client supports Network Level Authentication. If you want to check, just open the client and click on upper left corner icon to open the About window, you will then find out whether it’s supported. 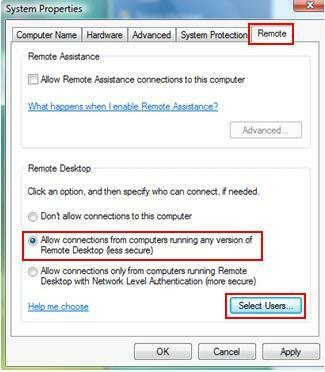 Note: By default the current user id that you used to enable this Remote Desktop will be allowed to connect remotely. In this case, Ivan already has access as my current logged on user id is Ivan. You can click Add... to add other users. 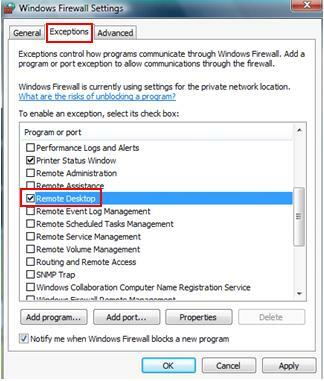 Note: Also the Remote Desktop must be enabled as exception on Windows Firewall! 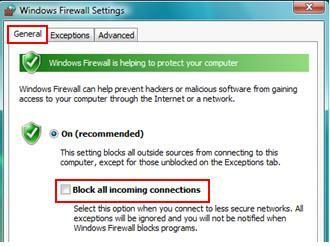 If not the traffic will be dropped by this firewall. Note: Please also make sure Block all incoming connections check box is cleared! If it’s check, then no remote connection can be made from other computers. Note: If you plan to change the default Remote Desktop listening port TCP 3339 to other port, check out this changing Remote Desktop port article. Note: If you wanna to learn more, check out more remote desktop info or products here .